When curling your hair, it is really important to take steps to ensure you prevent damage. 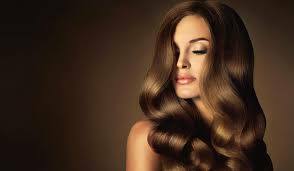 The problem with very hot items is that they emit positive ions which cancan ruin the hair by drying it out and causing breakage. Tourmaline, a semi-precious stone, is often fused into the barrels of high quality curling irons. Tourmaline technology protects the hair by emitting negative ions to neutralize the positive ions. 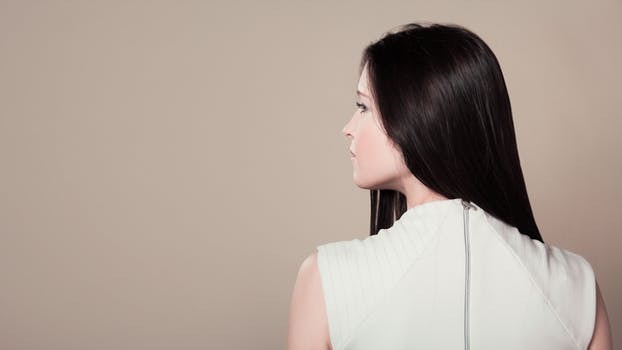 Finding a good curler with tourmaline technology will help keep your hair silky smooth. 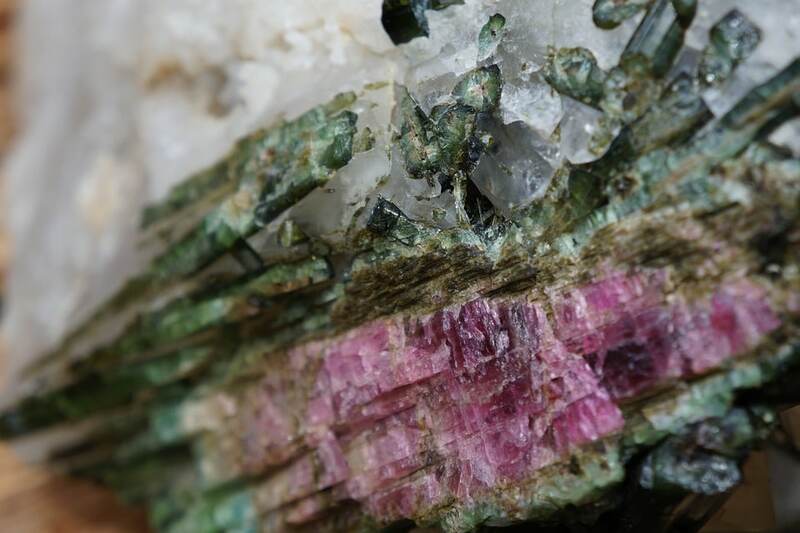 What Is Tourmaline and Where Does It Come From? Tourmaline is a semi-precious gemstone. It is a crystalline boron silicate mineral that originates from Sri Lanka. Its name is derived from the Sinhalese word ‘Thoramalli’, a name given to a specific group of gemstones from Sri Lanka. During its history, it has been used for a variety of different things. Its beautiful iridescent coloring has led to it being used in jewelry and accessories. It has also been said to have medicinal properties, helping to strengthen the immune system and ease mental stress. Black versions of tourmaline as often used as a natural insecticide. 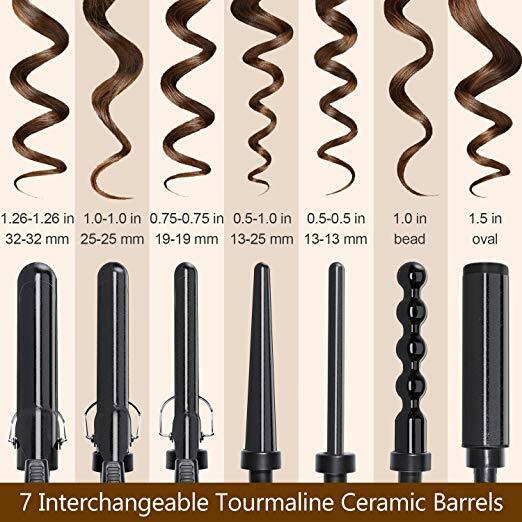 When it comes to hair care, tourmaline is added to the barrels of curling irons and the blades of flat irons in order to reduce frizz caused by positive ions. Tourmaline has the natural capacity to emit negative ions. Very hot electrical appliances produce an abundance of positive ions. When these positive ions hit the hair, they open the cuticle, releasing the moisture locked inside. This can dry the hair out very quickly, leaving it frizzy and brittle. Tourmaline is crushed into a fine powder when added to hair curlers and flat irons. By crushing it into a fine powder, this enlarges the surface area, allowing higher numbers of negative ions to be released, in order to prevent the bad effects of positive irons. The negative ions that are emitted by the tourmaline neutralize the positive ions and keep the cuticles closed. This locks in the moisture, producing a smooth, shiny effect on the hair. 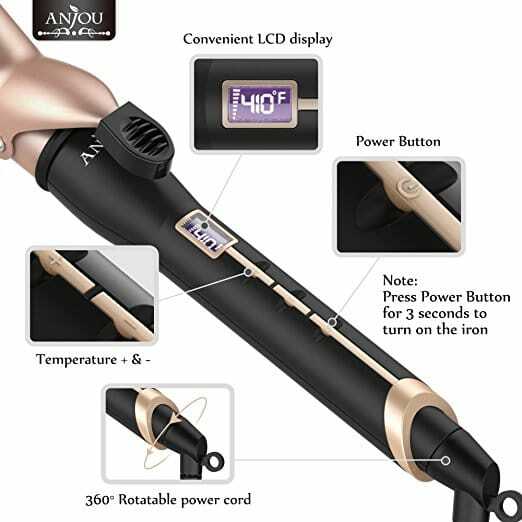 Often, curling irons will refer to ionic or nano-ionic technology. These are the same thing. This refers to a secondary effect of tourmaline. The negative ions emitted by the tourmaline break up any water molecules into much smaller particles. This allows the hair to absorb them more easily, keeping the hair hydrated, creating moisturized, luscious locks. This model has a 1 ¼-inch barrel made of ceramic. It features 5 heat settings, with a high of 400F, heating up in 30 seconds. It is 16 inches long and works with a ceramic heater. 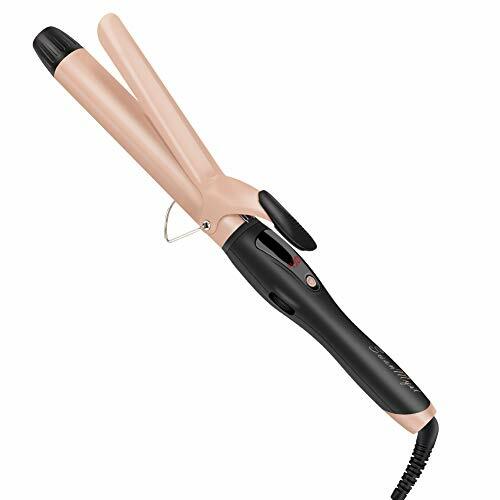 Fast heat up – The ceramic heater in this curler means that it heats very quickly and keeps a constant temperature throughout use with ‘uniform heat recovery’. Big barrel – For long hair, this product is perfect. The large barrel creates big, bouncy curls for a glamorous look. 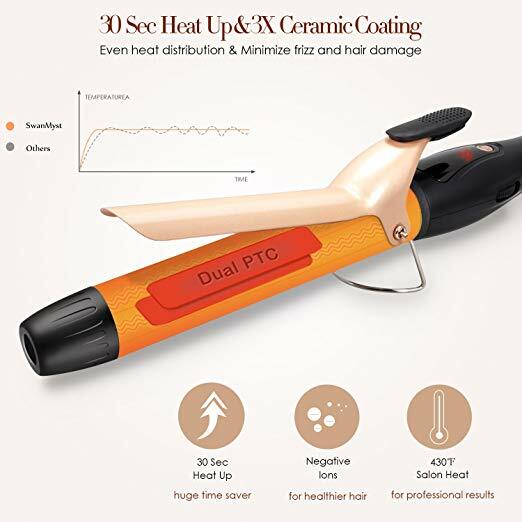 Ceramic barrel – The ceramic barrel provides even heat distribution which prevent hotspots that can damage the hair through intense, direct heat. Poor placement of power button – The on/off button on this model is not in a great position. This means that while curling, it sometimes turns off without noticing. Short cool tip – The cool tip at the end is very short. The cool tip is designed to prevent you burning your fingers, but it doesn’t work particularly well on this model. "It gives you quite good results. 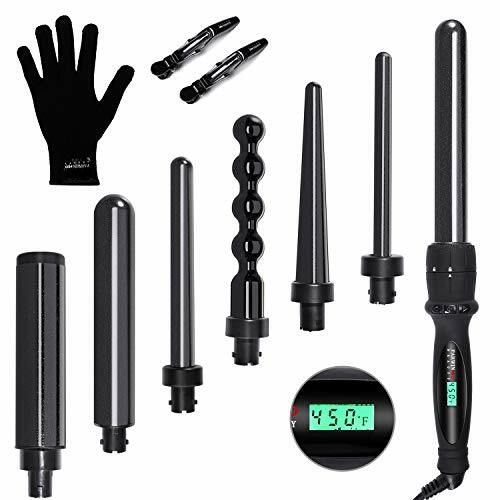 The heat goes up pretty high and also it heats up really fast"
This wand set features 7 different interchangeable ceramic barrels. It comes with a carry case, heat-resistant glove, and two strong-hold grips. It has 15 heat setting, ranging from 170F to 450F and features dual voltage technology. Versatile styling – With 7 interchangeable wands, this model is incredibly diverse. It allows you to create loose, tight, and messy curls with one tool. Travel-friendly – The carry case fits everything inside snugly, making it easier to pack when traveling. The dual voltage technology means it can be used abroad with no extra adapters. Ceramic barrels – The ceramic barrels protect the hair from uneven heat distribution and hotspots, giving a silkier, more consistent finish. Good temperature range – The 15 different settings allow you to create more diverse styles. The low temperature of 170F is great for fine or damaged hair, whereas the higher temperatures up to 450F are great for coarser, harder-to-curl hair. No cool tip – Having no cool tip can allow more proficient users to create curls with more natural definition. However, for beginners, this can easily lead to you burning your fingers, as it much harder to maneuver easily. No automatic shut-off – Without an automatic shut-off, you can burn the product out if left on accidentally. Equally, it can pose as a fire hazard. "I'm really excited about this wand!" This curling tong features a 1 1/4 -inch ceramic-coated barrel. It comes with two grips and a heat-resistant glove. It has 19 heat settings and an extra-long cool tip. 19 heat settings – With a wide range of heat settings, this model can be used on varying hair types and to create a myriad of styles. It reaches highs of 430F, which works well for hair that is harder to curl. Big barrel – The large barrel creates bouncy curls and can be used to create flowing waves. This model is ideal for longer hair. Burn protection – The extra-long cool tip helps protect the fingers from burning during styling. Equally, the heat-resistant glove provides an extra layer of protection from the high heat. 3x ceramic barrels – The barrels are coated with 3 layers of ceramic to help prevent the hair from burning due to hotspots. It gives an even distribution of heat, locking in moisture. No dual voltage – This model cannot be used abroad as it does not feature dual voltage technology. In order to use this outside of the US, you must buy an extra adapter. Coating heats up – The plastic housing heats up quite hot. Some customers have complained that there is burn damage where the ceramic meets the plastic housing. 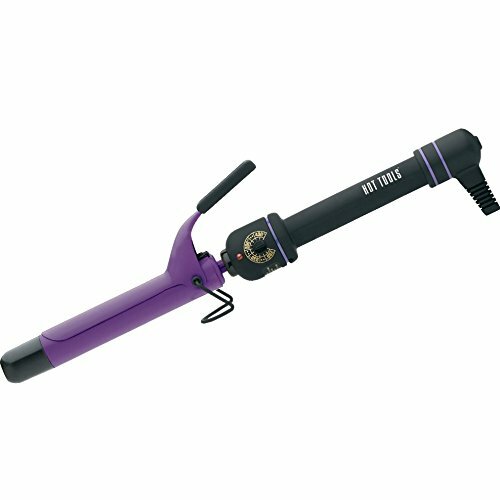 Featuring at 1 ¼-inch ceramic-coated barrel, this curling iron comes with a heat-resistant glove and two clips. It has heat settings that range from 200F to 410F and has an 8-foot swivel cord. 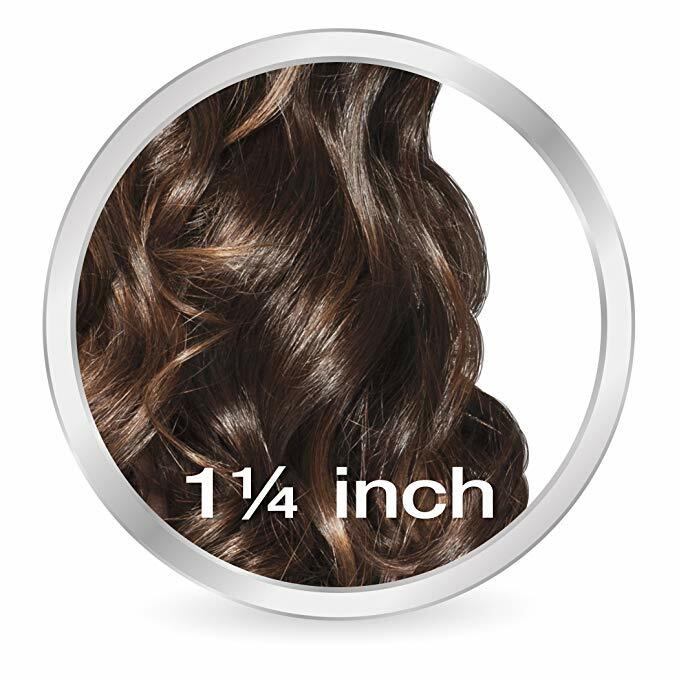 Versatile barrel size – 1 ¼-inch is a great size barrel for all different hair lengths. It creates a smooth wave for short hair and big, bouncy curls for longer hair. Protects from burning – The heat-resistant cool tip and heat-preventative glove save you from burning your fingers while curling your hair. Dual voltage – The dual voltage capacity means that it can be used abroad without an adapter. "I'm really pleased with that!" Ceramic-coated barrel – The barrel is only coated in ceramic, not made of ceramic. This does not offer as good heat distribution or protection as a fully ceramic barrel. 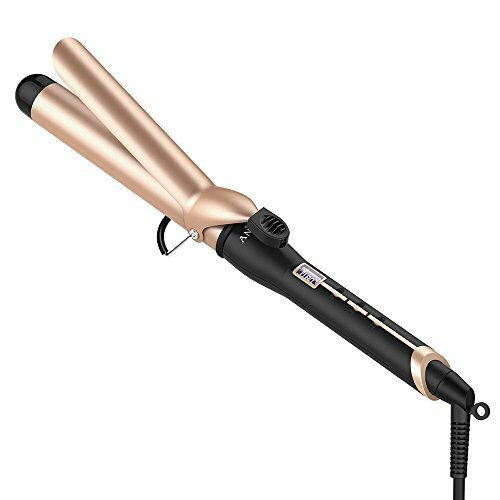 Badly placed power button – It is very easy to turn the curling iron off when in use due to the position of the on/off button. This iron comes complete with a heat-resistant glove and a foldaway safety stand. With a ceramic barrel, this model features an extra-strong grip clamp, heavy-duty heating element, and reaches highs of 450F. Lightweight – This model is extremely lightweight which makes it easy to work with. Unlike other models, it does not make your wrist or arm ache and can be moved around the head easily. The soft-grip is also designed to be easy on the hand. Pulse technology – This model features pulse technology. This means that is keeps and even heat throughout use with a heavy-duty heater that maintains a constant temperature. 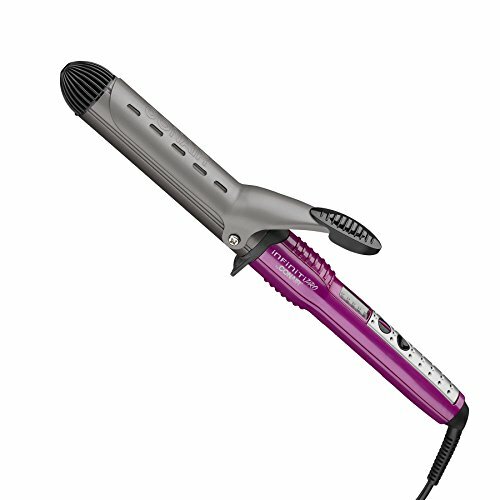 Safety stand – This curling iron features a safety stand, which helps to keep the curling iron from burning your countertop while curling your hair. It also prevents fire risk if left on by accident. Incorrect temperature – While this model boasts highs of 430F and lows of 280F, many customers have complained that the temperature setting does not reflect the actual temperature. According to reviews it doesn’t reach the high temperatures and the low temperatures are dangerously higher than stated. Clamp is too strong – Reviews of this product have stated that the clamp is so strong that it is hard to use. Worse than this, when people release their hair, they find it catches and pulls the hair from their head. "I really really like it! I would highly recommend this wand!" Finding a curling iron with tourmaline technology will really help to protect your hair from the damage of positive ions. When curling your hair, you put it in danger of dehydrating, causing brittle strands and an overall frizzy look. Barrels that incorporate tourmaline particles help to prevent this and put moisture back into the hair, which creates a smooth finish and moistures locks. Do not get confused between ceramic and tourmaline, as they are different. Tourmaline is an addition to ceramic barrels; having both creates the sleek finish you desire due to the even heat distribution, the influx of minerals and the neutralization of positive ions.